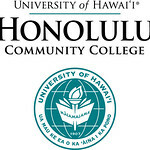 Po‘i Nā Nalu, the Hulili Ke Kukui Center and the Honolulu Community College Botany program have teamed up to revitalize the campus greenhouse and its surrounding garden. The emphasis of this project is propagating native and Polynesian introduced plant species as a way to increase the amount of Hawaiian-culturally significant flora in the ‘āina (land) of Māla o Niuhelewai (The Garden of Niuhelewai). Other project goals include growing plants to help beautify the campus and contribute to the community restoration efforts by replacing foreign/invasive species with various coastal species. The project also includes faculty, staff and students working on cultivating kō (sugarcane varieties).